Uses: Easter, Eastertide Scripture: Matthew 28:1-10; John 20:1-10 Alive with vibrant praise, this acclamation of life is a festive flourish for Easter Sunday. The rhythmic theme is punctuated by a message of confidence and unbounded joy, and the majestic brass and timpani and sparkling handbell parts will lift this invigorating anthem to the skies. Glorious! Score and Parts (tpt 1-2, tbn 1-2, tmp) available as a digital download. A separate handbell part (3 octaves, 34 bells) also available as a digital download. Doug Wagner's outstanding setting of this perennial favorite will add fanfare and excitement to Palm Sunday or any festive worship occaision. Available separately: SATB, ChoirTrax CD. Score and Parts (tpt 1-2, tbn 1-2, timp, handbells) available as a Printed Edition and as a digital download. Duration: ca. 4:00. Stan Pethel has taken this Sacred Harp text and set it to a delightful melody making it an excellent choice for your Easter morning service. The SAB voicing makes this piece accessible to a wide variety of choirs. Available separately: SAB, BonusTrax CD. Duration: ca. 2:20. Uses: Easter Scripture: Luke 24:2-3; Acts 4:33; I Peter 1:3 Teeming with gospel goodness, this unaccompanied gem is a charming change for Resurrection Sunday. The infectious call and response format causes this toe-tapper to be a positive sonic alternative to the brassy shimmer of traditional Easter offerings. Modest ranges with much repetition make this an easy learn, and optional cued notes and some reserved vocal splits will allow for larger groups to really shine! Deborah Governor : Christ Is Risen! Alleluia! Deborah Govenor's setting of a John S. B. Monsell text emphatically states Christ is risen, alleluia! to all who hear. The optional trumpet obbligato will add an extra measure of excitement. Trumpet part included. Available separately: SATB, BonusTrax CD. Duration: ca. 3:15. 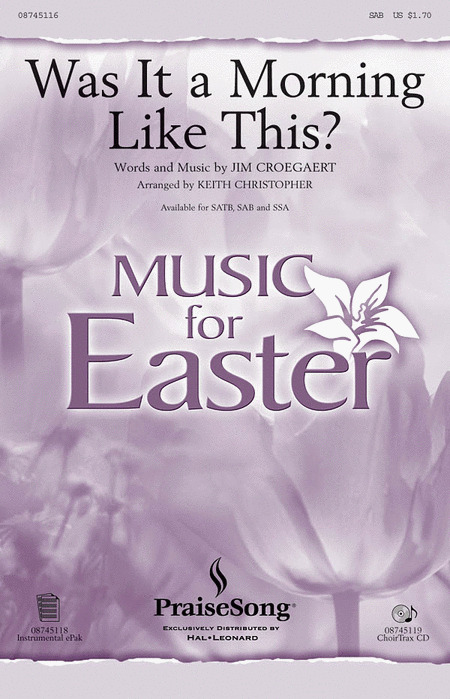 Uses: Easter, Eastertide Scripture: Matthew 28:1-10; Luke 24:1-12 Based on a theme from Mozart, this animated anthem for Easter is ideal for choirs looking for an elegant traditional opener. Well-crafted part-writing enables quick learning, and the festive canonic finale offers and impressive moment for the celebration of the resurrection. Joyous! Majestic writing from beginning to end covers this equally grand text. Claiming the resurrection of Christ is a transcendent thought for the believer and the message of this anthem showcases the ministry of the Trinity with clarity and power. The music and text shout away any doubt and fully embrace this spiritual truth with soaring strains and towering harmonic moments. The entrance of the well-known Crown Him with Many Crowns is an immense moment, bringing the congregation into the colossal apex of this powerful statement of faith. Score and Parts (fl, ob, cl, hn, tpt 1-2. tbn 1-2, timp, tub bls, perc 1-2, pno, vn 1-2. va, vc, db) available as a digital download. Penny Rodriguez : O Sons and Daughters, Let Us Sing! Uses: Easter Scripture: Matthew 28:7 The Neo-Renaissance flavor provides a beautiful backdrop for this novel Eastertide anthem. The optional Hand Drum and Tambourine will add a nice color to your worship presentation. Available separately: SATB, BonusTrax CD. Duration: ca. 2:35. Uses: Easter, St. Thomas Sunday Scripture: I Peter 1:8 The traditional Simple Gifts tune is given a fresh treatment with a modern text by Charlotte Lee. With the declarative text, Christ lives and so do we, this is an anthem of joy and hope that will enhance your Easter worship celebration. The optional trumpet part is included and will add an extra bit of sparkle to your presentation. Heather Sorenson : Rejoice, the Risen Lord Is King! With an opening instrumental fanfare and a choral flourish, this arrangement of a hymn standard sweeps the listener up in the festivities of worship. Based upon the popular DARWALL tune the melody takes some surprising turns as it offers up the message of resurrection power and the kingship of Christ. Crowned with jubilant Hallelujahs, the anthem ends with punctuation marks of praise! Score and Parts (tpt 1-2, tbn 1-2, cym, timp) available as a digital download. From the joyful opening to the driving finish, this anthem is pure high energy praise! Perfect for use with choir and praise team. 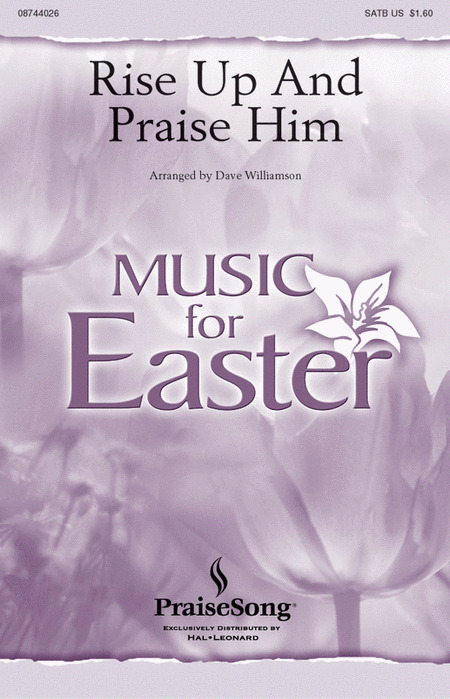 Rise Up and Praise Him incorporates the classic Easter hymn Jesus Christ Is Risen Today with great effect. Add the ChoirTrax or dynamic orchestration for a stunning moment in any Easter service. Vicki Tucker Courtney : Rise Up, Easter Morning! Uses: Easter, Eastertide, Spiritual Scripture: Matthew 28:5-10; Mark 16:9 Set in a joyful gospel style, this a cappella wonder is a spirited addition to the Easter repertory. Syncopated rhythms punctuate a message of confident hope. A contrasting middle section features the beloved spiritual My Lord, What a Morning and brings a taste of the familiar to this unaccompanied winner! Duration: ca. 2:19. Richard Nichols : Roll That Stone Away! Uses: Easter Scripture: Matthew 28:2; Mark 16:4 Alive with a good-natured gospel flair, this a cappella sizzler will awaken everyone to the joy of Easter. Arranged for success, the piece practically sings itself. The catchy theme is decorated with lots of interesting vocal interactions, giving your singers a moment to shine. This delightfully different work is great for both small ensembles and full choirs. A winner! Roger Thornhill : Sunday Has Come and Jesus Lives! 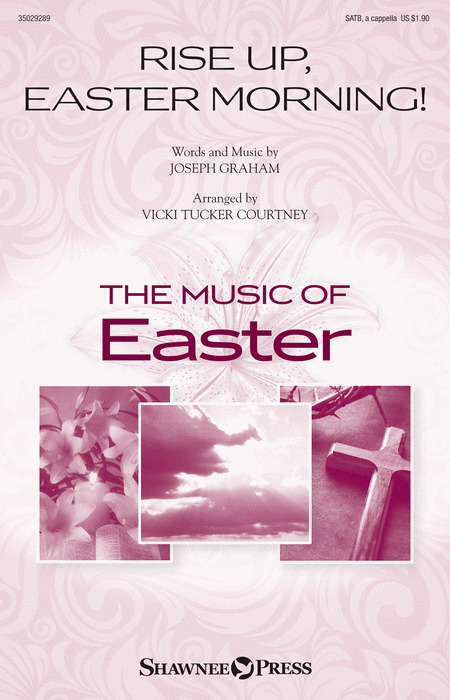 Uses: Easter, Call to Worship Scripture: Matthew 28:1-10; John 20:1-10 A unique combining of two masterwork melodies by Beethoven forms the musical scaffold for this jubilant choral flourish for Resurrection Sunday. A fresh perspective is offered by the text as the world awakens to new alleluias. Appropriate when presented as an anthem or call to worship for choir, but when combined with brass, handbells and congregational singing this concertato takes flight. Score and Parts (tpt 1-2, tbn 1-2, timp) and Part for Handbells (3 octaves) available as digital downloads. Keith Christopher : Was It a Morning Like This?